How much is Brad Grey Worth? 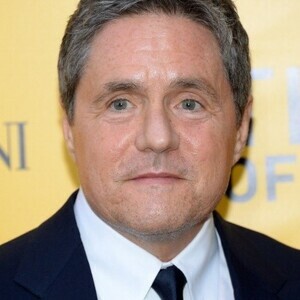 Brad Grey Net Worth and salary: Brad Grey was an American businessman, talent manager and producer who had a net worth of $300 million and annual salary of $29 million. Brad Grey was born on December 29, 1957 in Los Angeles, California. For 12 years he ran Paramount Pictures, during which time he oversaw the highly successful launch of franchises such as Transfromers and Mission: Impossible. Under his leadership, Paramount Pictures finished No. 1 in global market share in 2011 and No. 2 domestically in 2008, 2009 and 2010, despite releasing significantly fewer films than its competitors. 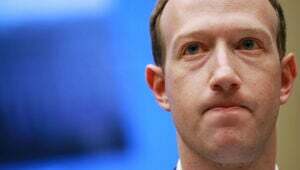 He also has produced 8 out of Paramount's 10 top-grossing pictures of all time since succeeding Sherry Lansing in 2005. Grey's career took off in 1984 when he met talent manager Bernie Brillstein in San Francisco, California at a television convention. Having convinced Brillstein that he could deliver fresh talent, he was taken on as a partner and the Bernie Brillstein Company was re-christened Brillstein-Grey Entertainment. Grey began his career as a producer with the 1986 Showtime hit, It's Garry Shandling's Show. In 2002, Grey formed Plan B with Brad Pitt and Jennifer Aniston, with a first-look deal at Warner Bros. The company produced two films for Warner Bros: Tim Burton's Charlie and the Chocolate Factory with Johnny Depp, and Martin Scorsese's The Departed, starring Leonardo DiCaprio, Matt Damon, and Jack Nicholson. 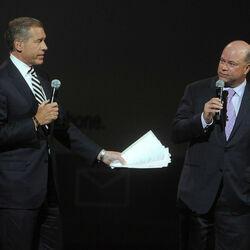 After Pitt and Aniston separated, Grey and Pitt moved the company to Paramount Pictures in 2005. Brillstein-Grey Entertainment was considered one of the industry's most elite entertainment organization. It was regarded by as "Hollywood's most successful management and production firm" by many observers. Grey produced some of the most popular and most honored series on television, including the Emmy Award-winning hit, The Sopranos and The Wayne Brady Show. His awards include 2 Emmys, 3 Golden Globes, 4 Peabodys and 2 PGAs (Producers Guild of America)—all of which were for his work in The Sopranos, except for two of the Peabodys, which were for The Larry Sanders Show. Tragically, Brad Grey died on May 14, 2017 at the age of 59 after battling cancer.